Will Dowd takes us on a whimsical journey through one year of New England weather in this engaging collection of essays. 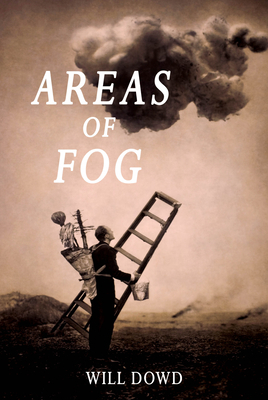 As unpredictable as its subject, Areas of Fog combines wit and poetry with humor and erudition. Full of literary anecdotes and keen observations, this fun, breezy, and discursive read will delight fans of Bill Bryson. Will Dowd is a writer and artist based outside Boston. He obtained his MFA in Creative Writing from New York University, where he received a Jacob K. Javits Fellowship; an MS from MIT, serving as a John Lyons Fellow; and a BA from Boston College, as a Presidential Scholar. Will Dowd is a writer and artist based outside Boston. He obtained his M.F.A. in Creative Writing from NYU, where he received a Jacob K. Javits Fellowship, a M.S. from MIT, serving as a John Lyons Fellow, and a B.A. from Boston College, as a Presidential Scholar. His poetry, art and essays have appeared in numerous magazines.